"Greater vehicle." The "Great Way" branch of Buddhism which emphasizes reliance on bodhisattvas for those seeking salvation and liberation from the endless cycles of rebirth in their efforts to attain Buddhahood. This sect of Buddhism spread from northern India in the 2nd century C.E. and is practiced in countries of Northern Asia, i.e. Nepal, China, Mongolia, Korea, Japan, Tibet, and Vietnam. At one time it was also practiced in Burma, Thailand, Cambodia, Malaysia, and Indonesia. "The great ascetic." A name of Shiva. A bodhisattva now residing in Tushita heaven that will be reborn as the future Buddha in order to renew the faith. He is revered in both the Theravada and mahayana sects of Buddhism. He is sometimes portrayed as a bodhisattva ruling from his throne in heaven dressed in princely regalia. He wears a stupa in his headdress and often carries a vase and a wheel. A mythical sea creature representing abundance, used in architectural decoration, for example in combination with kala on doorway frames, lintels, or as balustrades. Sometimes depicted spouting another creature or plant from its mouth. In India, it has the body and tail of a fish, but in Southeast Asia, it has the body of a reptile. In Java, the head is similar to crocodile's, with a large jaw and snout elongated into a trunk. In Champa, it has the head of a lion, with fangs and trunk, or the head of an antelope, with forelegs. The akshamala is a string of 108 bead. The mantra is articulated loudly or mentally over each bead. 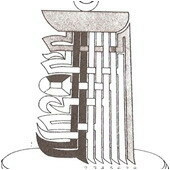 Two akshamalas joined together serve as a way of counting the round mode. In the Buddhist tradition this is a special attribute of Avalokiteswear, who has an akshamala made of crystal beads. When it is turned it means he is drawing the people out of cyclic existence and leading them to Nirvana. A mystic diagram symbolizing the universe used as an object of meditation in Vajrayana Buddhism. It usually contains an enclosing circle divided geometrically with representations of divinities or Buddhas and their pantheons. This is a large prayer-wheel, usually a row of eight or more of these large mane are placed at entrances of temples and are turned by worshippers going into the temple. Some are very large, the size of a room and are rather heavy to turn. The mane is turned clockwise on entering the sacred precincts of temples. 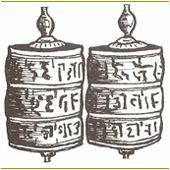 This is a hand prayer wheel and is exclusively of Tibetan origin. The mantra Om Mane Padme Hum is inscribed on the outer wall of the wheel. Inside the wheel is a scroll in which the mantra is written many times. It is also whirled clockwise. Apparently the mantra is activated each time the wheel is rotated. 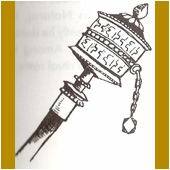 Like the Tibetan prayer flag, the prayer wheel is exclusively Tibetan. 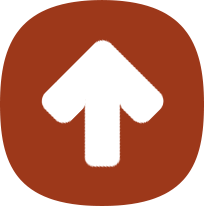 Manstras are power-words –prayers-either articulated loudly with proper sound and rhythm, or chanted. ‘Man’ means the mind and ‘tra’ means to guide or protect. It is thus the protector of the mind. It signifies a sacred reality, and it chanted in ritual worship to invest it with the grace of a deity. It is dynamic, like the breath of life, it endows a ritual artifact with the essence of what is sacred. As on aid in meditation, it apparently awakens latent spiritual forces in the human body. Like everything else it is the intention – the motivation spirit – that gives significance to a word or name and makes it a power-word. The demon god of sensual desires known as the tempter, who tries to prevent Gautama from attaining enlightenment and becoming the Buddha. Mythical and sacred mountain at the center of the universe in Hindu and Buddhist cosmologies, with Tavatimsa heaven, abode of the god, Indra, and the thirty-three gods, at its summit. Multistoried religious buildings are often representations of Mt. Meru. In Buddhism, a path of no extremes; an acceptance of things as they are. An ethnic group found in southern Burma; part of the Dvaravati kingdom existing in central Thailand from the 7th to 11th centuries C.E. 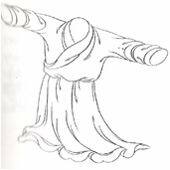 The Mahayana monk’s robe is usually saffron in color. 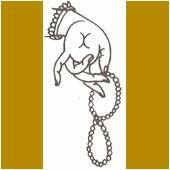 It symbolizes the Sangha, the community of monks. But presents renunciation of worldly life. The Tibetan monks, on the other hand, have a yellow and maroon colored robe, also signifying renunciation of worldly life in pursuit of the attainment of Buddhahood. A symbolic gesture of the hands in Buddhist iconography; a mark or seal. This is a ritual crown worn by a Buddhist priest of the vajrayana discipline during a religious rite. 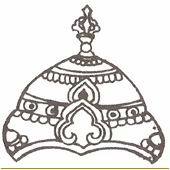 The crown is invariably adorned by four or five dhyani Buddhas, which established the cosmic principle. It is adorned by a vajra at the top, which symbolizes the fifth member Amoghrasiddhi.